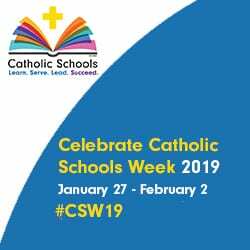 Catholic Schools Weeks will be held from January 27 through February 2 and Notre Dame has several events to celebrate. On Sunday, January 27 several of our students will be speaking at local churches about Notre Dame and thanking Parishioners for their support of Catholic Schools. Monday, January 28 will be pajama day and a live rosary recitation will be led by the student council in the gymnasium. Tuesday, January 29 will be bring a friend to school day which will be followed on Wednesday by our “Souper Bowl of Service” where students will be able to wear a football jersey for donating a can of soup. The soup will be given away over lunchtime that day to anyone who needs it. 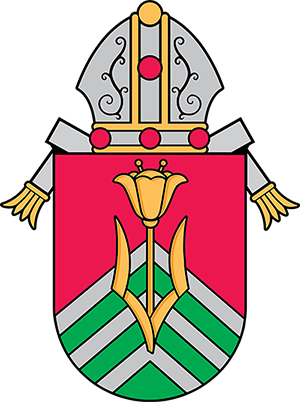 On Thursday, January 31, a Priest appreciation lunch will be held followed by Mass at Immaculate Conception Church. A faculty appreciation lunch will be held on Friday followed by the annual volleyball tournament. To conclude the week’s events, the “Snowball” dance will be held on Saturday, February 2.